Are you one of those people who loathe the gym? Do you refuse to pay the high monthly price at your local gym? Do you find it near impossible to make it to the gym, but desperately need to get exercise in your life? Then this post is for you! I've compiled a list of free workout regimens you can find online. The best thing is, you need little to no equipment and an area where you can work out. 1. My friend recently told me about Nike Training Club. I downloaded the app to see what it's all about. The interval training I did on a local school's blacktop was super tough... in a good way. I'm always looking for a challenge. PROS: You can use the app anywhere you are. It counts down the entire pre-designed workout and gives you videos to see what each exercise is. 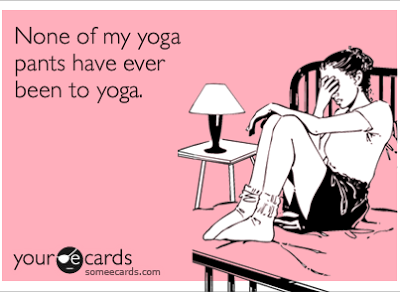 There are a lot to choose from and you can select type (cardio, weights, yoga, stretching), length, and level (beginner, intermediate, advanced). CONS: I couldn't figure out how to get the narration to stop after I already knew what the moves were. Not a huge deal, but the voice did interrupt my music, which was annoying. You also can't skip ahead or go back between reps.
2. I've blogged about Melissa Bender multiple times. PROS: She has a YouTube and website where you can either workout with her or just use her 400+ free exercise videos. She has a variety of videos, but mainly utilizes high intensity interval training. The cool thing is that you can do really short workouts or repeat them for longer ones. She also has a lot of videos that don't use equipment in case you don't have any. She also seems super down to earth and like an overall good person. CONS: There's no app thus far, so I will sometimes print out her workout breakdowns and take them with me to wherever I plan to work out. 3. I recently discovered GymRa through Christine Khuri. PROS: She is a beast and her workouts are super intense. I would only recommend her if you are intermediate or advanced. Her ab workouts are killer and very effective. But GymRa has a variety of types of fitness routines and levels. CONS: You have to comb through YouTube to find what you want. It's not organized as neatly into a website like NTC or Bender Fitness. There's also no workout breakdown, so you don't really know what each routine entails prior to doing the workout. I hope you find these ideas useful. They are my go-to's when I can't make it or don't want to go to the gym. I do still hit the gym regularly for resistance training, which is very important to preventing osteoporosis in women, maintaining the proper balance of human growth hormone (nature's youth serum), and keeping tight and toned. The more lean muscle you have, the more calories you burn in a day resting. What do you like to do for a workout aside from the gym? ...Fast food from a window that is! What I do eat are the individual meals I prepare using the meal prep planning method. Sundays I will make large portions of various meals complete with healthy sides that I can consume throughout the week. I have about a million tupperware containers so I can grab my meals and run out the door at 6:45am. All I need is a microwave at work. You can meal prep breakfast, lunch, dinner, even snacks. I for one know that the last thing I want to worry about when I get home from a long day and a commute is dinner. Between long work days, driving, hitting the gym, and spending time with loved ones, I want to maximize my time doing what I love... and sometimes cooking is just another chore. And I love to cook! But time management is key to having a successful life, staying in shape, continuing to eat healthy, and being happy overall. Less stress = more happiness. 1. I'm a list person. It seems that if I write something down, I'm much more likely to go through with it. Therefore, I will write down my workout and meal goals for the week. Check out this handy-dandy planner that can help to hold yourself accountable and ensure you buy all the right ingredients, etc, for your weekly meals. This company has a ton of options, including a fitness and meal specific planner. Check them out! 2. Invest in reusable containers. I have a variety of Tupperware containers. Some are Gladware from the grocery store and some I specifically bought for meal prepping because they have nifty little dividers so you can bring an assortment. The more types of food and color on your plate, the more nutrients you're consuming. Check out Amazon if you want to invest in these. 3. Figure out your "go-to" meals. For me, I'm a big Mexican food fan. Therefore, I always have salsa, Mexican spices, corn tortillas, chicken, and Mexican toppings on hand. But the same goes for any genre. For example, make crockpot oats to last the week. Oatmeal is cheap and you can buy it in bulk. 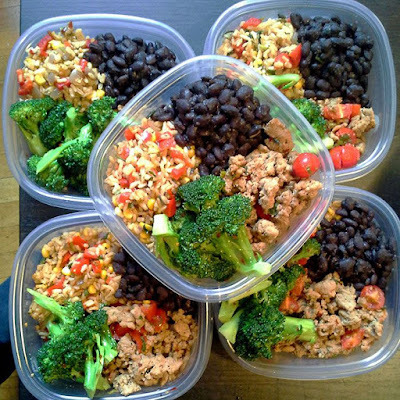 Find your commonly made meals and make sure to always put those items on your grocery list. When you don't have time to test out a new recipe, the oldies are goodies. Pictured here is my Crockpot Salsa Verde Chicken. It's super easy to throw together and you can make a huge batch to use for tacos, burrito bowls, salads, etc. You can also freeze it. 4. Start small. 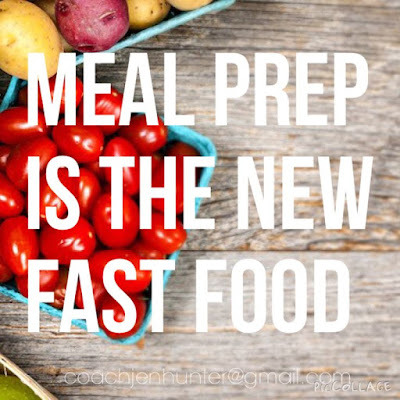 Meal prepping can seem overwhelming and I know I was intimidated by photos on Instagram and Pinterest of dozens of perfectly prepped and portioned meals in Tupperware. 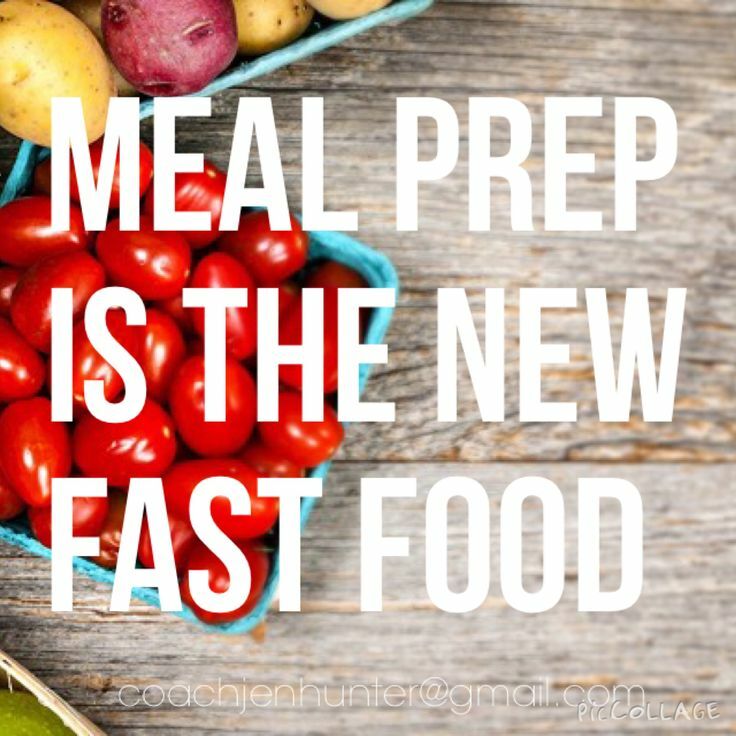 However, start off by just making one prepped meal, rather than meals for breakfast, lunch and dinner. For example, make my delicious Skinny Sloppy Joe's and keep what you don't eat in the fridge. Perfect for lunch or dinner leftovers. 5. Change it up!! For the most part, I can eat the same thing day in and day out for quite awhile. But it's more because I know it's good for me when I make it versus eating out and feeling guilty. However, chicken breast gets mighty old after awhile. (The boyfriend agrees.) So make sure you change it up. I use ground turkey a lot as well as fish. I also use veggies as much as possible. Veggies and spices really help step your flavor game up. For example, you can make turkey burgers, turkey chili, turkey spaghetti, and turkey meatloaf with a plain old package of lean ground turkey breast. 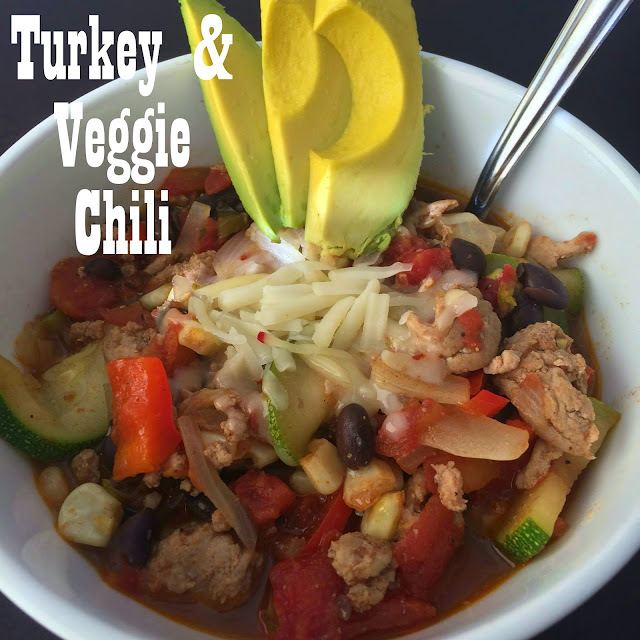 Veggies are a great addition to any main dish, help keep you fuller longer, and of course, are soooo good for you. You can eat almost endless vegetables each day (minus potatoes, corn, avocados). So there you have it! Five tips to get you started on meal prepping. What do you usually cook for make ahead meals?